Evander Holyfield and Marvin Hagler, both legendary champions of the world, showed their great support to Manny "Pacman" Pacquiao against Floyd Mayweather Jr. bout, hopefully next year. 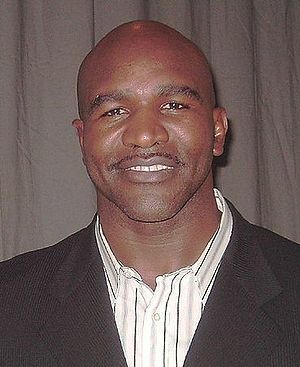 Evander Holyfield treated Manny Pacquiao is the best boxer in his time as he fought all of the best in the ring and even Pacquiao is a small guy, he beats all the big fighters in the ring up in to the light middleweight division. Pacquiao's hard work made those things to be happened and the love of Pacquiao to each of his boxing fans gave him difference to Floyd Mayweather Jr.
Holyfield told out these words in the news after the day when Marvin Hagler expressed his sides against Floyd Mayweather Jr. in fighting Pacquiao. 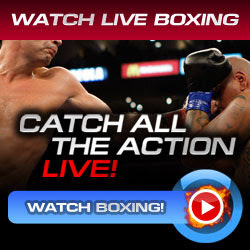 Pacquiao will be fighting Juan Manuel Marquez on November 12, 2011 for the World Boxing Organization Welterweight Championship of the World (WBO). There are lot of plans after the fight of Pacquiao against Marquez, there are great opponents like Saul Alvarez, Victor Ortiz, Sergio Martinez and Floyd Mayweather Jr. but Marvin Hagler believes that the boxing sport will improve more if Pacquiao vs Mayweather will put into the final bout hopefully next year. Evander Holyfield and Marvin Hagler also added that Juan Manuel Marquez should be ready to his third fight against Manny Pacquiao. It will be in the 144 catchweight division, and Marquez is not that good in that division like on the perfomance he did over Floyd Mayweather Jr. bout. Pacquiao will be fighting Marquez for the third time in November and Floyd Mayweather Jr. will be fighting Victor Ortiz in September. What's next for the pound-for-pound king? Floyd or maybe Ortiz?